The Crush 12 is the smallest of the full-format Crush models designed for guitarists with a no-nonsense attitude to quality analogue tone. 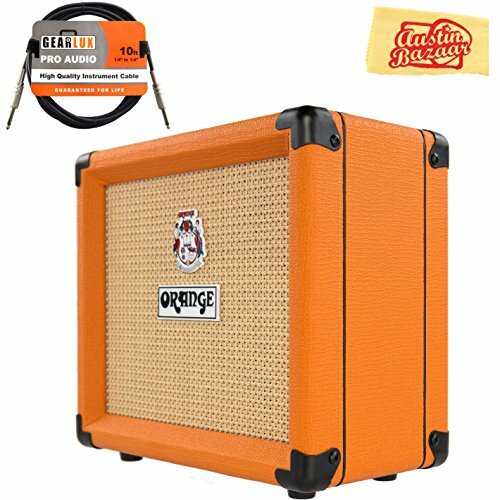 This single channel combo features a powerful 3 band EQ and dedicated Overdrive control for tones ranging from crisp and clean through to vintage Orange crunch. The Crush 12's custom 6" Voice of the World speaker ensures the amp always remains punchy and articulate, despite its tiny dimensions. Our new CabSim-loaded headphone output means huge tones at whisper quiet volume, making this combo an ideal practice partner for players of all levels.